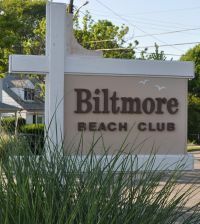 Welcome to the website of the Biltmore Beach Club. Located in Biltmore Shores, Massapequa on the south shore of Long Island on South Oyster Bay. The “BBC” occupies over three acres of beautiful waterfront property and offers a wide variety of beach, pool and boating activities as well as an active social calendar for its members and their families. Details on the numerous amenities and activities of the Club can be found on other areas of this site and include a 1,000 ft. bay front beach for daytime relaxation, an Olympic-size swimming pool that hosts swim competitions with other beach and yacht clubs, and a 100-slip marina complete with electric and water facilities. Dedicated to the continuing advancement of social spirit and fellowship in the community, the BBC is a private members-only club with application for membership limited to resident homeowners of the immediate area. Please see the membership tab regarding eligibility for club membership.